Oven temperature is controlled via a Watlow programmable ramp and soak controller. The TVO-2 also includes a fully integrated digital overtemp protection controller. Vacuum & purge hand valves are conveniently located on the front control panel. The purge valve is set up to allow for backfilling with N2. Rear Vacuum connections include: a 3/8″ connection for the vacuum pump and a 1/4″ connection for purge / backfill. An additional KF25 vacuum connection is located in the rear center for feedthru or sensor connections. 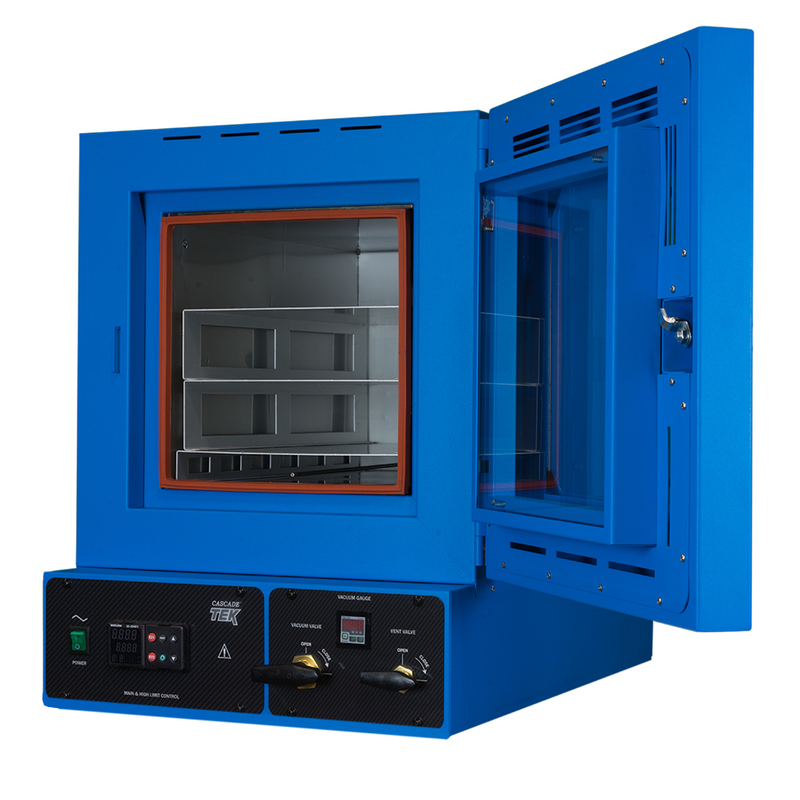 The Cascade TEK TVO-2 vacuum oven is our smallest benchtop unit. 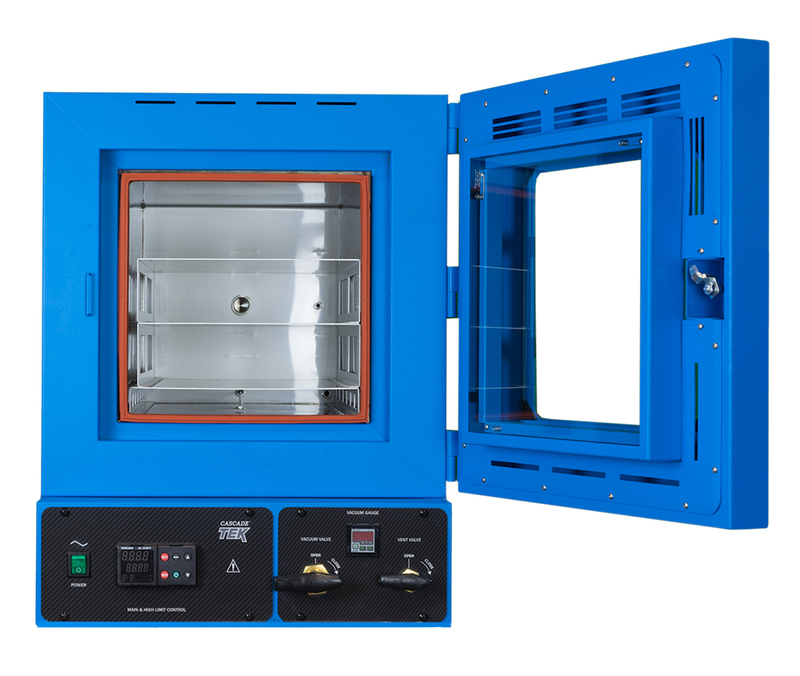 Cascade TEK is happy to offer everything you need for a complete vacuum drying system – including dry or wet vacuum pumps, connection kits and a variety of replacement door gaskets suitable to your application. Oven temperature is controlled via a Watlow programmable ramp and soak controller. (Ask about how it can be configured to automatically execute your vacuum drying process). The TVO-2 also includes a fully integrated digital overtemperature protection controller. Vacuum is read in inches of Mercury (Hg) via a digital vacuum gauge. Vacuum & Backfill hand valves are conveniently located on the front control panel. The purge valve is set up to allow for backfilling with any inert gas. Rear connections include a 3/8″ tube stub for the vacuum pump and a 1/4″ tube stub for backfill. An additional KF25 vacuum connection is located in the rear center for optional feedthrough or sensor connections. The TVO-2 also has 3 fixed aluminum shelves. 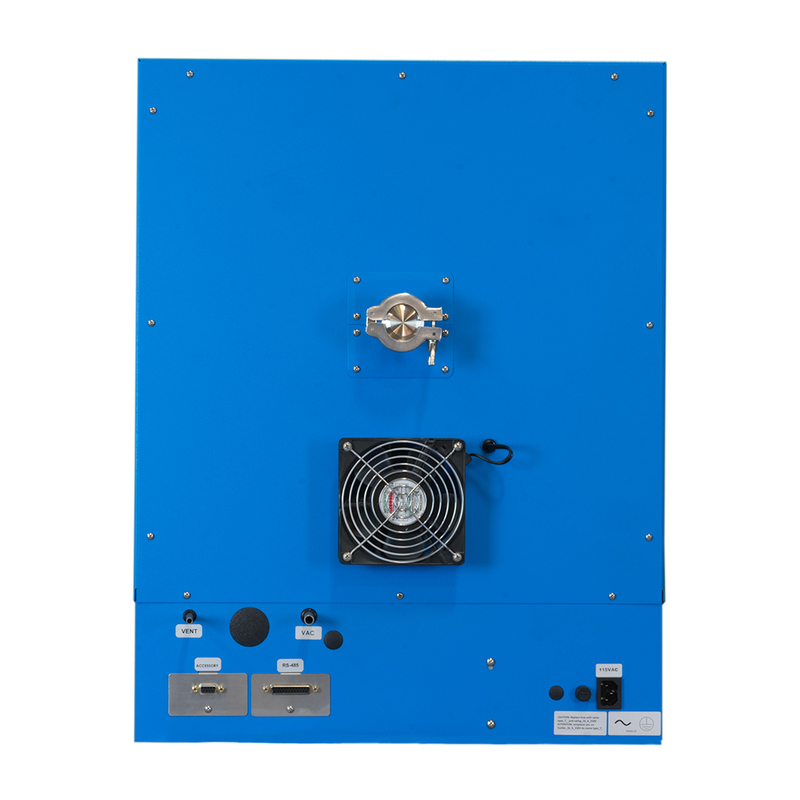 Cascade TEK offers the appropriately sized connection kits and pumps to bring the entire system on line. 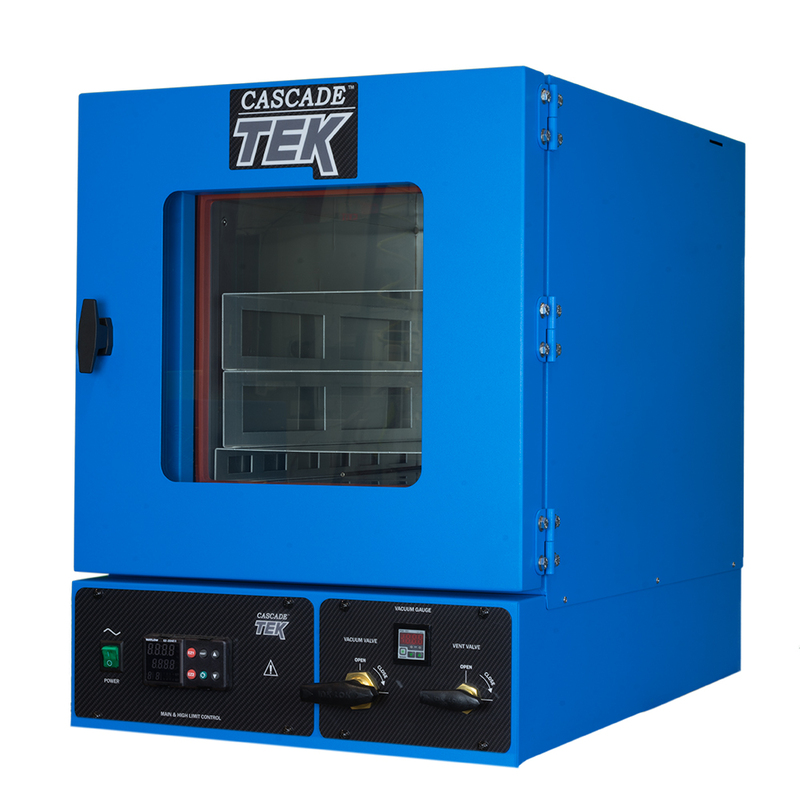 Cascade TEK can automate the TVO-2 to execute your vacuum drying process with the push of a button. This includes automatic opening/closing of vacuum/vent valves, automatic backfill sequence and temperature ramps, alarms and shut down. Our automated systems integrate specialty pumps, traps, serial communications and vacuum rated feedthrough based on your specific needs. Please inquire.